Shipping1 is perhaps the most international of the world's industries, serving more than 90 per cent of global trade by carrying huge quantities of cargo cost effectively, cleanly and safely. The maritime industry, as it is called, fulfils a critical role in the world economy as the primary carrier of international trade and driver of global supply chains. It transports over 90% of the world trade in volume and generates significant revenue . The ownership and management chain surrounding any shipping company in USA or abroad can embrace many countries and ships spend their economic life moving between different jurisdictions, often far from the country of registry. Moreover it employs over 1.2 million seafarers globally and contributes significantly to the development of subsidiary businesses and employment. Regulating the Maritime Industry in terms of occupational safety is a challenging task. Due to the nature of the business, ships very often do not remain embedded in one State or country and spend most of the time at sea or in far-away ports, remote from their managers and regulatory authorities. Conducting day- to-day managerial tasks or regulatory surveillance thus poses major challenges as does the implementation of uniform regulatory standards across this global industry. The jobs of seafarers in this floating industry are extremely demanding given the nature of high stressed work, very high frequency turnover of crew members on contractual jobs, tough living conditions, fear of job security ,lack of organizational support and long term sailing contracts that not only take a physical and psychological toll on them but also take an emotional toll on the families of seafarers. The shipping industry is extremely important for the world’s economy and transportation. 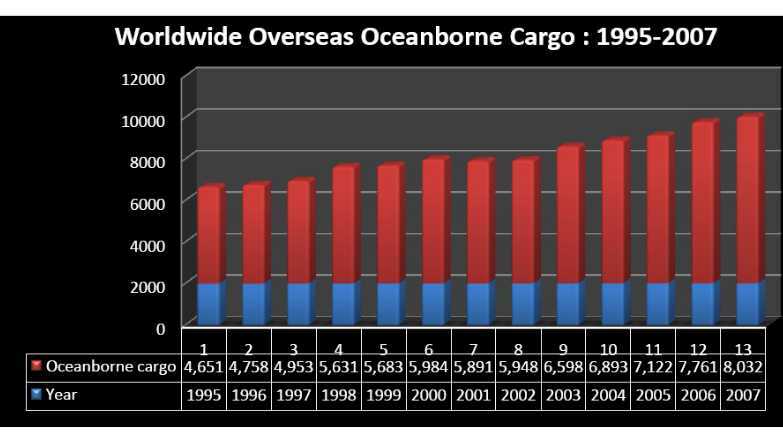 Out of the world’s transportation needs, by weight2, the overwhelming majority of global overseas merchandise trade is carried by ocean vessels rather than by air. While generally ocean vessels transport low value-per-ton commodities (e.g., crude oil, grains, and coal), container vessels transport high value-per-ton manufactured goods of all kinds, such as automobiles, appliances, computer equipment, and apparel. 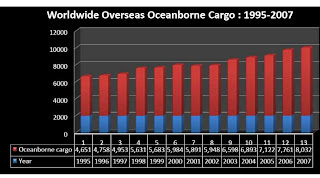 In 2007, the most recent year for which data is available, the volume of worldwide international oceanborne cargo3 reached more than 8 billion tons. During the past decade, the annual average growth rate was about 3 percent. Moreover, in USA, a major global trend in maritime trade in recent decades has been the growth in use of containers for international shipments. In 2004, nearly 24 million 20-foot equivalent units5 (TEUs) of merchandise moved in and out of U.S. container ports, up 79 percent from 13 million in 1995. U.S. container ports handled an average of 65,344 TEUs of loaded containers a day in 2004. Keeping this in mind, it is extremely difficult to ignore the occupational safety aspect of this large skilled work force. The impetus to register ships under FOC was also located in ship-owner’s interest in reducing the operational costs of ships. One particular area where ship-owners cut cost was by hiring cheaper labor, which lacked skilled and requisite safety trainings. As the FOC did not impose any restriction on the nationality of seafarers, the ship-owners increasingly began to employ low-wage seafarers from new labor-supply nations, such as from the Caribbean ( Haiti, Jamaica , Swaziland, Belize, Dominica ), Latin America ( Honduras, Peru, Mexico, Guatemala, Ecuador), East Europe ( Russia, Ukraine, Latvia, Slovakia, Slovenia, Romania, Hungary) and East and South East Asia (India, Indonesia, Philippines , China, Japan, Myanmar, Singapore, Thailand ). This way they consolidated their economic advantage by engaging in increased Cross-border activity and exploitation of low cost labor and offering very low wages compared to developed countries like USA or UK. These wages do not adhere to any minimum wages law in countries like USA or UK and are an example of extreme exploitation to as little as US$ 10-US $ 30 a day, working 10-14 hours a day. As a consequence of flagging out and employing labor from different parts of the world, the influence of local trade unions was eroded. Their scope of engaging in collective bargaining and representing seafarers on labor condition issues was significantly reduced. The declining influence of States and trade union organizations thus opposed a new threat to what was already a challenging task to regulate the OHS in the maritime industry12. It is against this background that on July 1st , 1998, the “International Safety Management Code”(ISM) was introduced into the maritime industry as a regulatory requirement by the International Maritime Organization13 and it became applicable to passenger ships, oil and chemical tankers, bulk carriers, gas carriers and cargo high speed craft of 500 gross tonnage and above. This piece of globally applicable legislation was specifically designed to promote a form of regulated self- regulation in the maritime industry worldwide. It required ship managers in shipping companies to assume the responsibility for ensuring that OHS in their individual organizations was effectively managed. The ISM Code provided a broad framework of general provisions on the basis of which ship-owners were required to establish written policies and procedures and document safety management systems for implementation in their organizations. Not only that, the Maritime Safety Committee, a convention of IMO, at its eighty-first session (10 to 19 May 2006), and the Marine Environment Protection Committee (MEPC) at its fifty-third session (18 to 22 July 2005), recognizing the need to provide guidance to personnel or consultants who are implementing, improving or auditing the effectiveness of shipboard health and safety programmes, approved Guidelines on the basic elements of a shipboard occupational health and safety programmes(SOHSP).These guidelines describes the basic elements of a shipboard occupational health and safety programme (SOHSP). their past employments. It showed that seafarers most commonly sustained injuries as a consequence of workplace slips, trips and falls. Researchers looking into accidents and injuries on ships have found that seafarers have a one-in-11 chance of being injured on their tour of duty – a much greater rate than for other occupations. Another study15 conducted on Danish registered ships pointed out that notwithstanding the rate of underreporting of non-fatal injuries, the number of reported cases of seafarer’s injuries at work was 1.7 times more than that for workers from shore-based industries. This study was based on scrutinizing a total of 1993 occupational accident figures extracted from the Danish Maritime Authority and insurance data between 1993 and 1997. It also showed that seafarers were 1.5 times more likely to suffer accidents resulting in 5% or more physical disability than their shore-based counterparts .Although the available data is far from comprehensive, a careful look at the fatality statistics points to a particular trend in the maritime industry. During the course of the 20th century, the proportion of seafarer’s fatalities resulting from maritime casualties decreased considerably, however on board work-related fatalities have continued to remain a major concern. The UK figures, for example, showed that at the dawn of the century, seafarer’s fatalities due to maritime causalities were roughly between 1.8 and 4.1 times more than their work-related fatalities. Whereas, studies16 from the latter part of the same century showed that the number of fatalities from maritime casualties and occupational accidents at the global level was roughly the same (see table below). In fact recent studies show that ships registered in Organization for Economic Co-operation and Development (OECD) nations, such as the UK, Germany, France, Norway, Denmark and Sweden experience more fatalities due to occupational accidents than through maritime casualties17. By looking at the reversal of the trend , it can be argued that while technological advancement in the maritime industry has improved seafarer’s safety over time in terms of reducing maritime casualties, work-related fatalities on board ships are still a major concern. This argument reinforces the purpose of this article which focuses on seafarer’s OHS concerns related to seafarer’s work and its management on board. Ratio of maritime disaster and occupational fatality on ships registered in selected countries. Sources18: Verdier (1922), Nielsen (1999), Nielsen and Roberts (1999) and Roberts and Marlow (2005). Though conventions like ISM and MEPC are supposed to be in place , implementing the self regulation policies and occupational health and safety programs of shipping companies ,however statistics suggest differently. Some of the reasons for occupational injuries in this highly skilled workforce are suggested19 as Fatigue ,Sleep Deprivation, Limited opportunities of recreation, Isolation from families, Contractual nature of jobs, Remote management and International nature of the crew. Keeping in mind the huge impact of the maritime industry on the global economy, there is definitely a need for further evaluation and effective implementation of policies to keep the seafarers secured and safe at sea while they work. Even if the occupational standards are implemented, seafaring is still a high risk occupation not only during working hours, but also during leisure time. 2. U.S. Department of Transportation, Research and Innovative Technology Administration, Bureau of Transportation Statistics, based on data from various sources. 3. United Nations Conference on Trade and Development, Review of Maritime Transport, various issues, available at www.unctad.org/rmt as of Oct. 3, 2009. 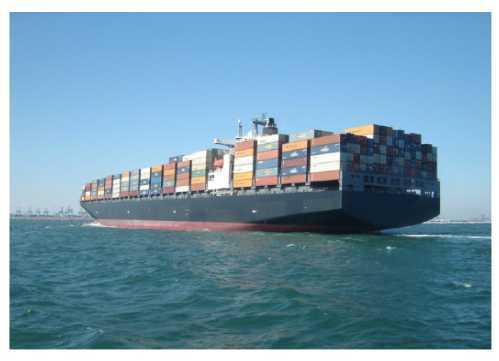 4. Review of Maritime Transport as per UNCTAD. 5. A TEU is the standard unit for counting containers of various lengths and describing the capacity of container vessels. 7. Alderton, T., Bloor, M., Kahveci, E., Lane, T., Sampson, H., Thomas, M., Winchester, N., Wu, B. and Zhao, M. (2004). The Global Seafarer: Living and Working Conditions in a Globalised Industry. Geneva: International Labor Office. 8. As per International Maritime Organization, in the shipping industry it is common to refer the State in which a ship is registered as the Flag State, which emanates from the fact that each ship is required to fly the maritime flag of that State. 9. Alderton, T., Bloor, M., Kahveci, E., Lane, T., Sampson, H., Thomas, M., Winchester, N., Wu, B. and Zhao, M. (2004). The Global Seafarer: Living and Working Conditions in a Globalised Industry. Geneva: International Labor Office. 11. Lloyds List (2005a). „Countries queue up for slice of register pie‟. Lloyd’s List. Published: 07.09.2005. 12. Selkou, E. and Roe, M.S. (2004). Globalization, Policy and Shipping. Cheltenham: Edward Elgar. 13. In 1948 an international conference in Geneva adopted a convention formally establishing IMO (the original name was the Inter-Governmental Maritime Consultative Organization, or IMCO, but the name was changed in 1982 to IMO). The IMO Convention entered into force in 1958 and the new Organization met for the first time the following year. 14. Jensen, O.C., Sorensen, J.F.L., Canals, M.L., Hu, Y.P., Nikolic, N. and Thomas, M. (2004). „Incidence of self-reported occupational injuries in seafaring – an international study‟. Occupational Medicine, 54(8): 548-555.Jensen, O.C., Sorensen, J.F.L., Canals, M.L., Hu, Y.P., Nikolic, N. and Bloor, M. (2005). „Subjective assessments of safety, exposure to chemicals and use of personal protection equipment in seafaring‟. Occupational Medicine, 55: 454-458. 15. Hansen, H.L. (1996).„Surveillance of deaths onboard Danish merchant ships, 1986-93: implications for prevention. Occupational and Environmental Medicine, 53: 269-275.Hansen, H.L. and Pedersen, G. (2001)..Hansen, H.L., Nielsen, D. and Freedenberg, M. (2002). Occupational accidents aboard merchant ships. Journal of Occupational and Environmental Medicine, 59: 85-91.Hansen, H.L., Tüchsen, F. and Hannerz, H. (2005). Hospitalisations among seafarers on merchant ships. Occupational and Environmental Medicine, 62: 145-150. 17. Roberts, S.E. and Marlow, P.B. (2005) Traumatic work related mortality among seafarers employed in British merchant shipping, 1976-2002. Occupational and Environmental Medicine, 62: 172-180. Nielsen, D. and Roberts, S. (1999). Fatalities among the world’s merchant seafarers (1990-1994). Marine Policy, 23(1): 71-80. 18. Roberts, S.E. and Marlow, P.B. (2005) Traumatic work related mortality among seafarers employed in British merchant shipping, 1976-2002. Occupational and Environmental Medicine, 62: 172-180. Nielsen, D. and Roberts, S. (1999). Fatalities among the world’s merchant seafarers (1990-1994). Marine Policy, 23(1): 71-80. 19. Marcus Oldenburg et al; Department of Maritime medicine, Hamburg port health centre, University medical centre, Germany. Very well said. I agree with all your statements about shipping company industry.